Get FAST CASH For Your CAR! Call (818) 987-7321 for Instant Cash Offer or tell us about your car with our handy online form. All That And Free Towing, Too! Call us now (818) 987-7321 and get the best offer for your used car. It's very simple. You call us or use our free quote form to tell us about your car. When you describe your vehicle, tell us the year, make and model, the mileage, and it's current condition. We then calculate the market value of your car at that moment based on many factors including the current auction market, auto dealer's selling price and our over 40 years of experience buying and selling cars in Southern California. We are expert car buyers with over 30 years experience in the Southern California market and we have quite a few stories to tell. The best one is how our company has grown to be the largest, most professional and courteous car buying service Los Angeles has ever seen. Our loyal customer base has been with us for generations. If this is your first time selling a car to us, we welcome you to the family! Over the years our company has grown in many ways to better serve you and to be the best complete car selling or car buying experience. That includes our in-house DMV department. 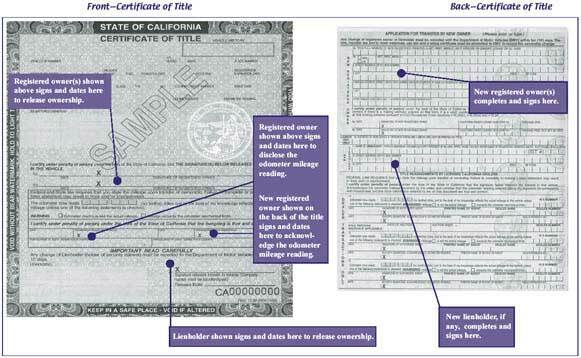 Our professional and courteous staff will handle all the DMV filing and assist in filling out paperwork for lost documents like a missing title to your car. You can rest assured knowing your liability in the vehicle has been released and that you won't have to worry about some unknown stranger driving around in a car that's still registered in your name exposing you to great risk of liability. When you sell your car to us, you eliminate that risk completely. That's just one of the many ways valleycashforcars.com makes selling you car easy, safe and fast. We buy your classic car, sports car, muscle car, vintage car, economy car, family car, station wagon, collectable car, used car, late model, luxury car, performance car, sports sedan, crossover, sport utility vehicle, SUV, pickup truck, classic truck, old truck, worktruck, truck, Van or what ever you have, running or not. Motorcycles, too. BMW, Ducati, Harley Davidson, Honda, Kawasaki, Suzuki, Triumph, Ural, Yamaha and more.